What are the causes of night sweats in women, men, and children? What other signs and symptoms accompany night sweats? Which types of doctors treat night sweats? Night sweats, or excessive sweating during sleep, are a common symptom in women and men. 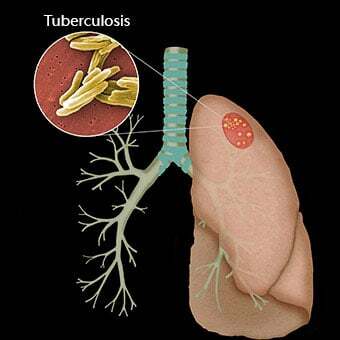 Many medical conditions and diseases can cause them. Examples include women in perimenopause or menopause; medications, hormone problems (Low-T), low blood sugar, and neurological problems. You may have other symptoms like chills, or shaking with a fever, vaginal dryness, or mood changes, depending upon the cause. Less common causes of night sweats include infections and cancers. Doctors treat the problem by diagnosing the cause of your night sweats. Doctors in primary care fields of medicine often hear their patients complain of night sweats because they are common. Night sweats refer to any excess sweating occurring during the night. However, if you keep your bedroom temperature unusually hot or you are sleeping in too many clothes, you may sweat during your sleep, which is normal. In order to distinguish night sweats that arise from medical causes from those that occur because one's surroundings are too warm, doctors generally refer to true night sweats as severe hot flashes occurring at night that can drench sleepwear and sheets, which are not related to an overheated environment. In one study of 2267 patients visiting a primary care doctor, 41% reported experiencing night sweats during the previous month, so the perception of excessive sweating at night is common. It is important to note that flushing (a warmth and redness of the face or trunk) also may be hard to distinguish from true night sweats. There are many different causes of night sweats. To determine what is causing night sweats in a particular patient, a doctor must obtain a detailed medical history and order tests to decide if an underlying medical condition is responsible for the night sweats. Shaking and chills can sometimes occur if you have a fever. Unexplained weight loss due to lymphoma. Night sweats due to the menopausal transition are typically accompanied by other symptoms of menopause such as vaginal dryness, daytime hot flashes, and mood changes. 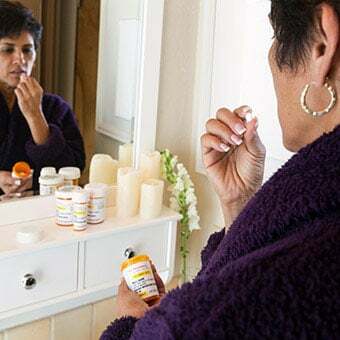 Night sweats that occur as a side effect of medications can be accompanied by other medication side effects, depending upon the specific drug. Conditions that result in increased sweating in general (as opposed to only night sweats) will result in increased sweating at other hours of the day. The hot flashes that accompany the menopausal transition can occur at night and cause sweating. This is a very common cause of night sweats in perimenopausal women. 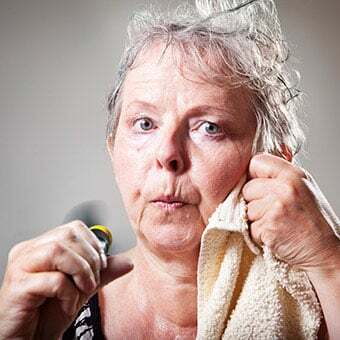 It is important to remember that hot flashes and other symptoms of the perimenopause can precede the actual menopause (the cessation of menstrual periods) by several years. Sometimes low blood glucose (hypoglycemia) levels can cause sweating. People with diabetes who are taking insulin or oral anti-diabetic medications may experience hypoglycemia at night that is accompanied by sweating. Sweating or flushing can be seen with several hormone disorders, including pheochromocytoma (a type of adrenal gland tumor that overproduces hormones known as catecholamines), carcinoid syndrome (overproduction of certain hormones by tumors of the lung or gastrointestinal system), and hyperthyroidism (excessive levels of thyroid hormones). Idiopathic hyperhidrosis is a condition in which the body chronically produces too much sweat without any identifiable medical cause. Night sweats are an early symptom of some cancers. The most common type of cancer associated with night sweats is lymphoma. However, people who have an undiagnosed cancer frequently have other symptoms as well, such as unexplained weight loss and fever. Taking certain medications can lead to night sweats. In cases without other physical symptoms or signs of tumor or infection, medications are often determined to be the cause of night sweats. Antidepressant medications are a common type of medication that can lead to night sweats. All types of antidepressants including tricyclic antidepressants, selective serotonin reuptake inhibitors (SSRIs), and the newer agents, venlafaxine (Effexor) and bupropion (Wellbutrin) can cause night sweats as a side effect, with a range in incidence from 8% to 22% of persons taking antidepressant drugs. Other psychiatric drugs have also been associated with night sweats. Medicine taken to lower fever (antipyretics) such as aspirin and acetaminophen (Tylenol and others) can sometimes lead to sweating. Many other drugs not mentioned above, including cortisone, prednisone, and prednisolone, may also be associated with flushing or night sweats. The treatment for night sweats depends upon the underlying cause. In summary, night sweats are usually a harmless annoyance; however, they are sometimes a sign of an underlying medical condition. Persons with unexplained night sweats should seek medical care. Night sweats are commonly treated by internists, family practice specialists, or gynecologists. If they are related to specific medical conditions, other specialists, including endocrinologists, neurologists, infectious disease specialists, or oncologists, may be involved in the care of patients with night sweats. Mold, JW, Mathew, MK, Belgore, S, DeHaven, M. Prevalence of night sweats in primary care patients: an OKPRN and TAFP-Net collaborative study. J Fam Pract 2002; 51:452.